Viper 3102v | SoundSecure.co.uk Mobile car audio and Security, bluetooth handsfree kits, parking sensors in Surrey,Sussex and Kent. 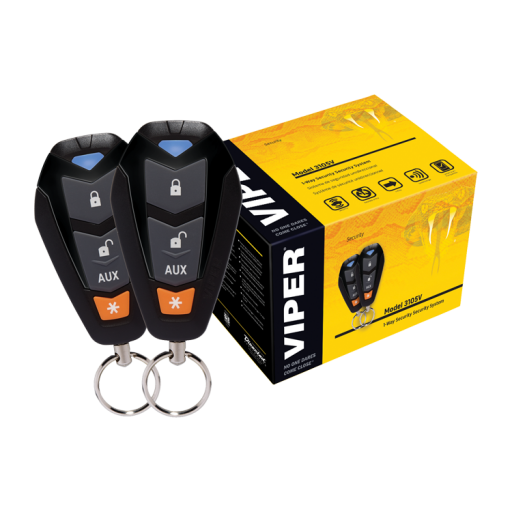 This entry level Viper security system will wrap your vehicle in protection, with the most sophisticated electronic technologies available today, including the Stinger® DoubleGuard® shock sensor, Revenger® six-tone siren and Failsafe® Starter Kill – Now featuring 4-button remotes, Control Center, and XR+ receiver. This state-of-the-art system also offers in-demand convenience feature like keyless entry. ESP2 is Viper’s exclusive serial communications protocol that allows extra ultra-security, high-speed communication between systems and enables many of Viper’s key features.